A break from the rain and a drive down to Cape Disappointment SP,formerly Fort Canby SP, via Hwy 109/101. 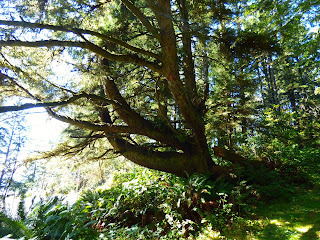 The park is located at the southern end of the Long Beach Peninsula in SW Washington. 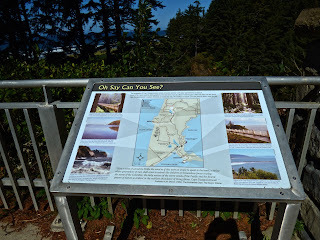 The Pacific Ocean is to the west and Columbia River to the south with a view of Astoria, OR. 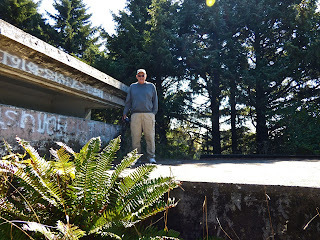 We lived in Oregon for 25 years and never explored the park except for Fort Columbia. 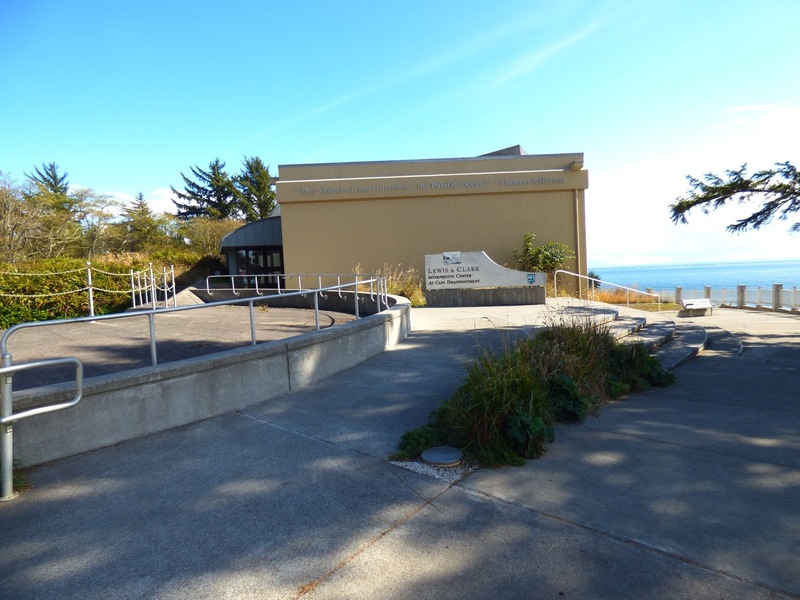 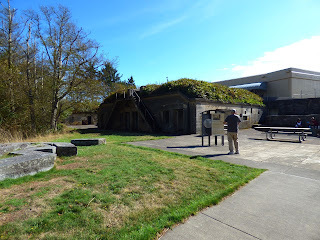 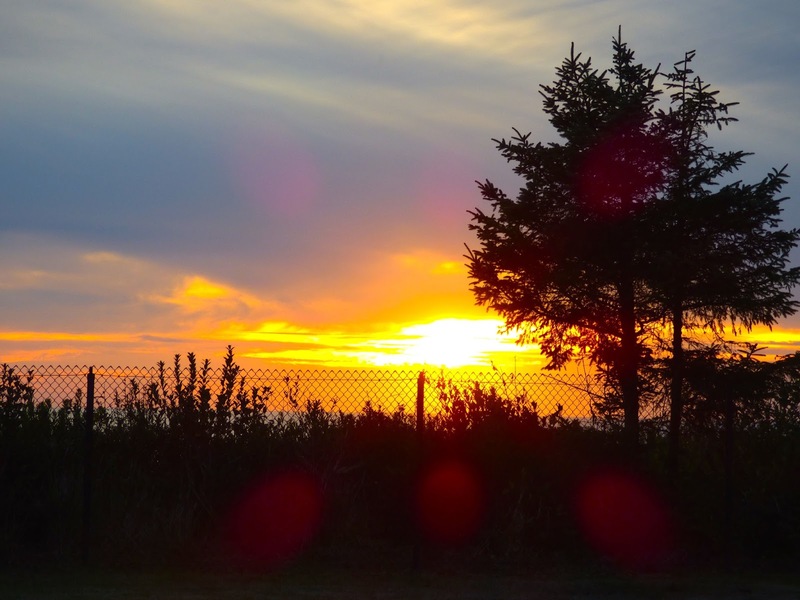 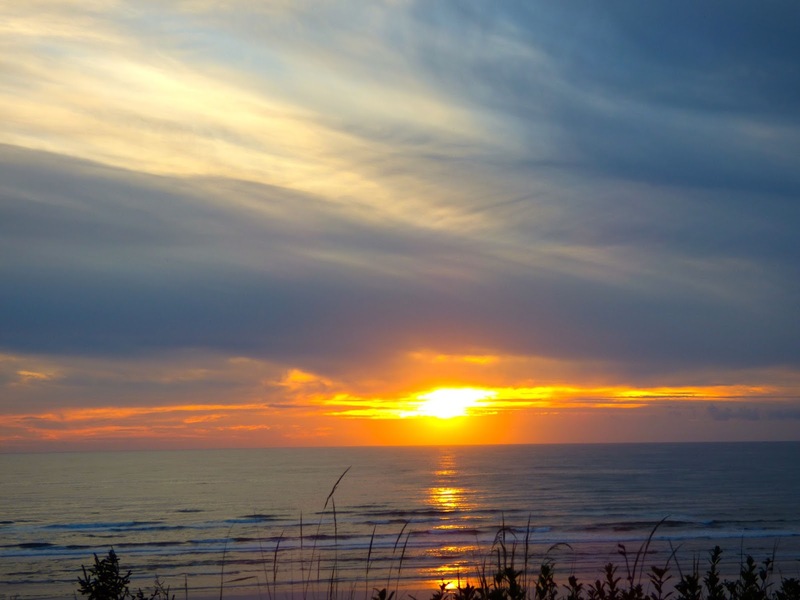 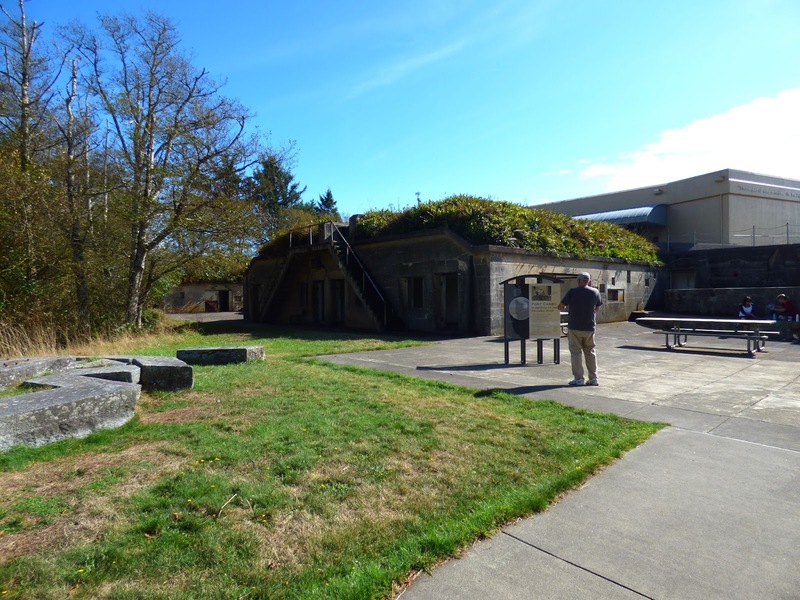 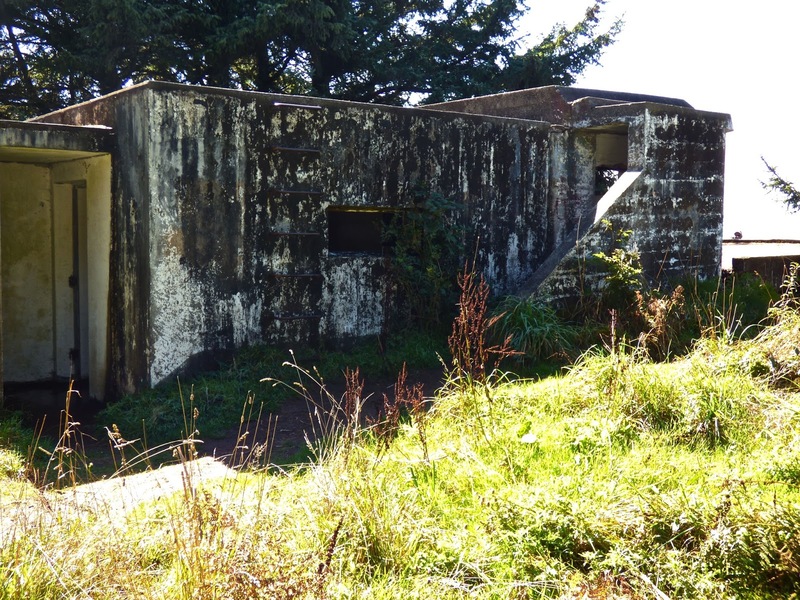 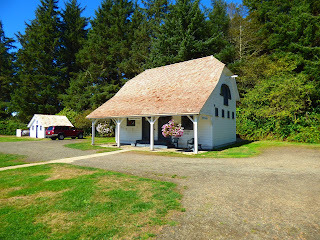 The park encompasses almost 1900 acres, offering miles of beach, 2 lighthouses,Lewis & Clark Interpretive Center,hiking and biking trails, campgrounds (1 with 60 sites offering full hookups), remains of WW I and WW II costal defense batteries and gun emplacements. 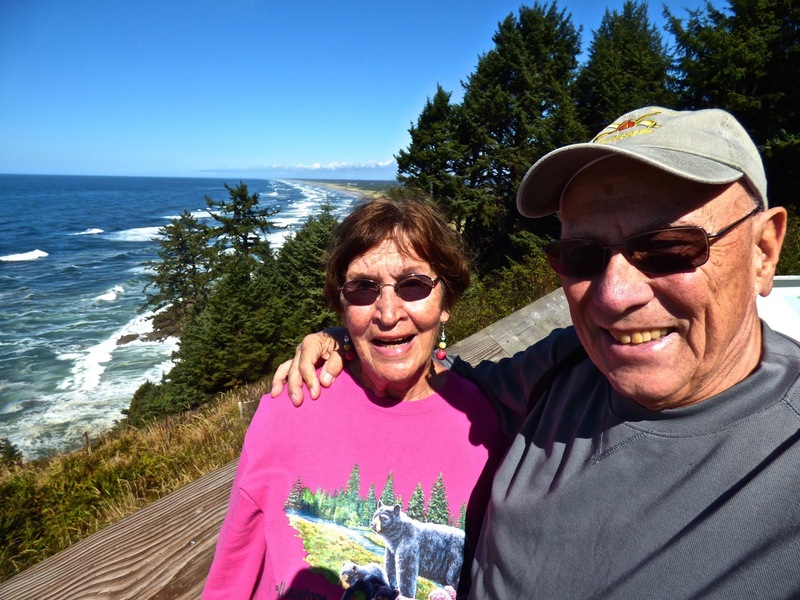 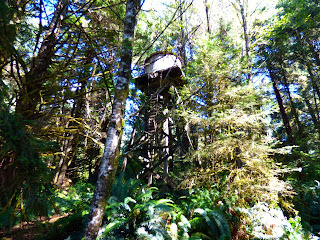 There are breathtaking views of the Pacific,Columbia River and Lighthouses as well as old growth forests. 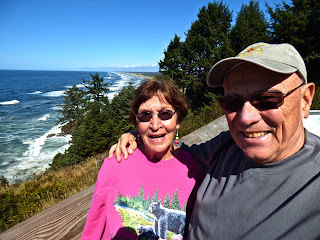 It was a perfect day for touring. 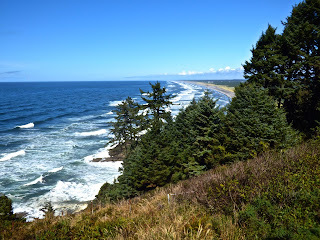 This area is the windiest in the USA. The North Head Lighthouse has recorded winds up to 120 MPH. 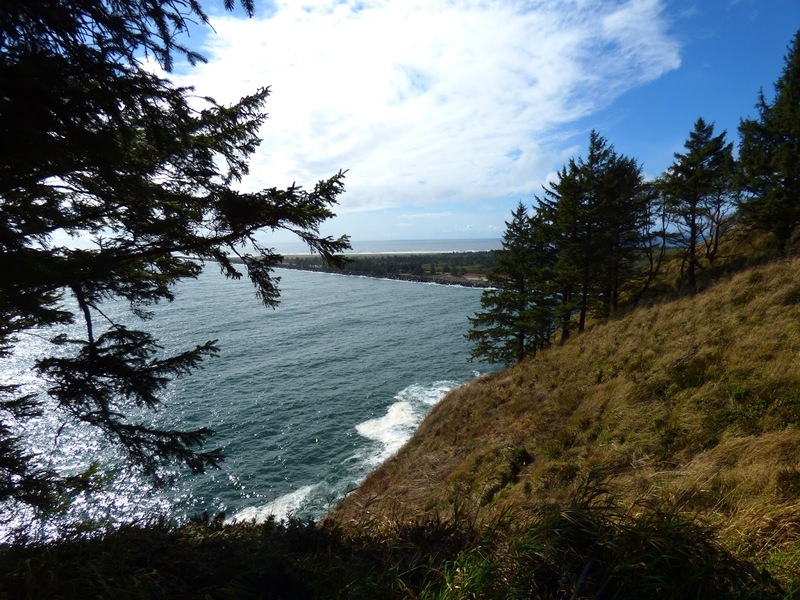 The wife of one of the keepers who was unable to bear the howling winds, flung herself off the cliff into Beard's Hollow. 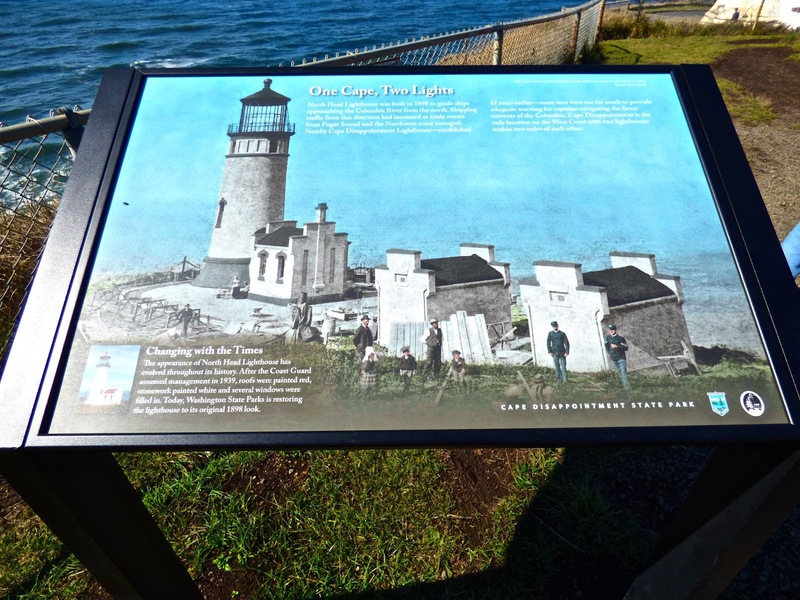 In 1932, a duck was blown off course and crashed through the lighthouse window and chipped the lens. 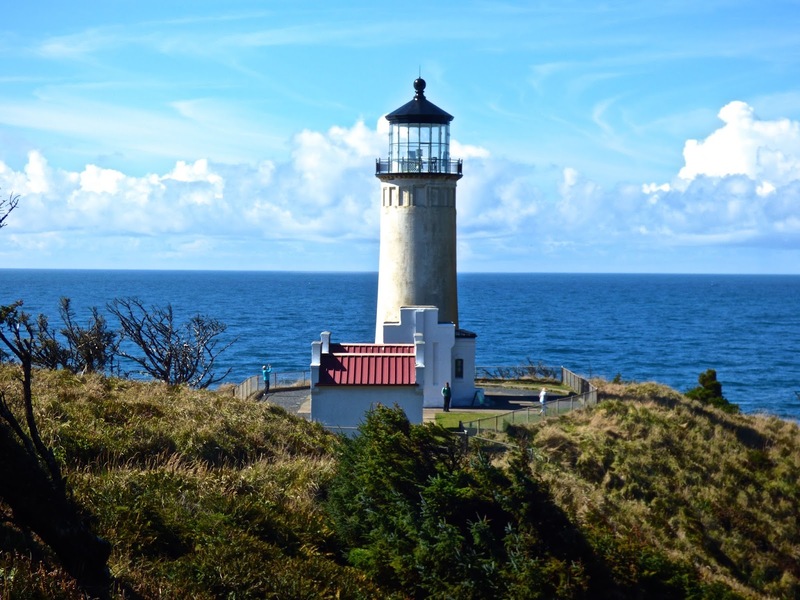 There are 19 lighthouses in Washington and Oregon. This area is known as the "Graveyard of the Pacific". 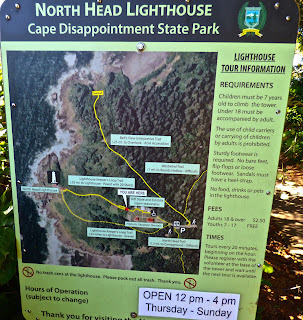 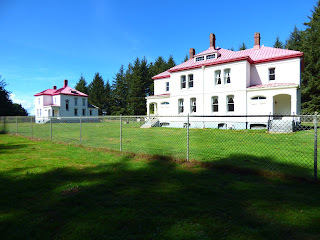 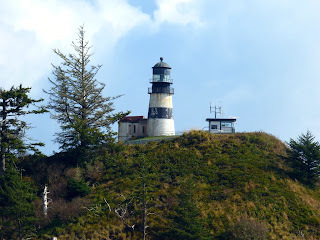 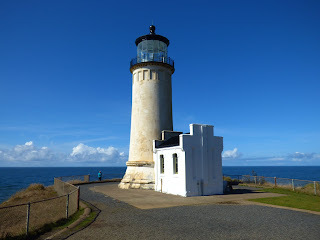 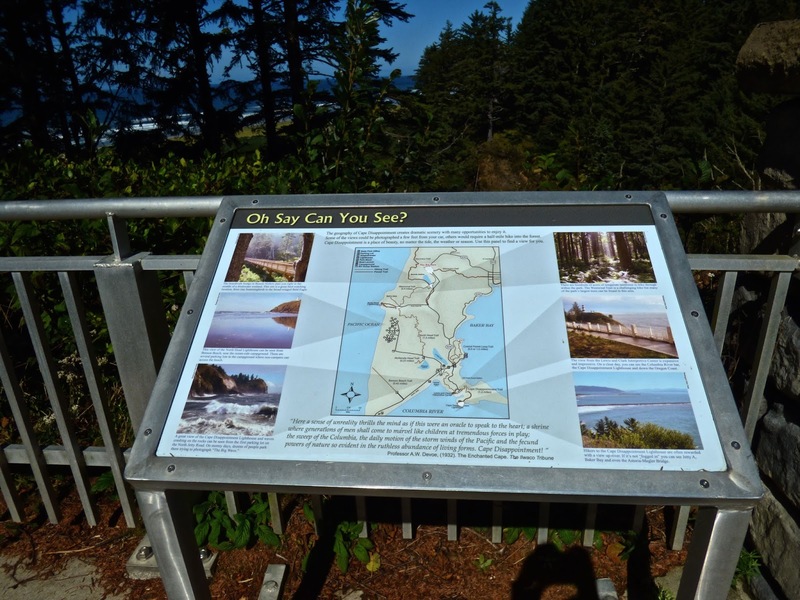 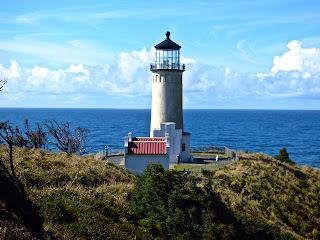 The North Head was constructed 2 miles from the Cape Disappointment Light because ships traveling from the North couldn't see the Cape Disappointment Light. 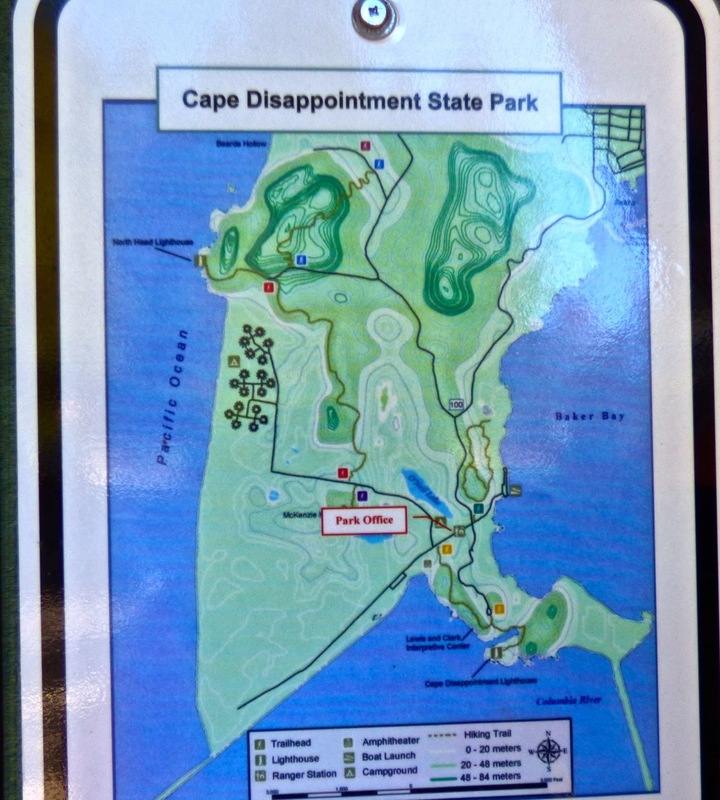 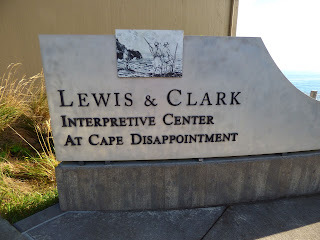 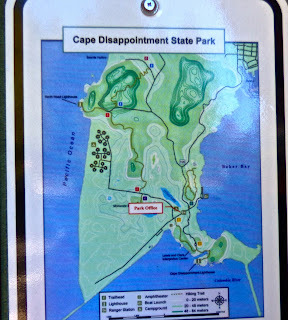 The name Cape Disappointment comes from British fur trader John Meares after his inability to locate the river's mouth. 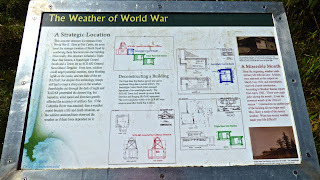 Before doing the North Head trail, do the Bell's View passing the WW II structures. 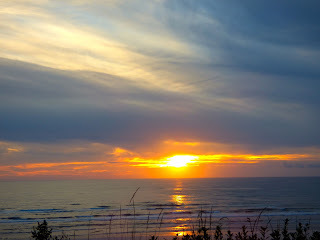 Upon our return, got some photos of sunset at campground.